I was recently researching a purchase of International Standard Book Numbers (ISBN), which are the 10-digit number that uniquely identifies books and book-like products published internationally. 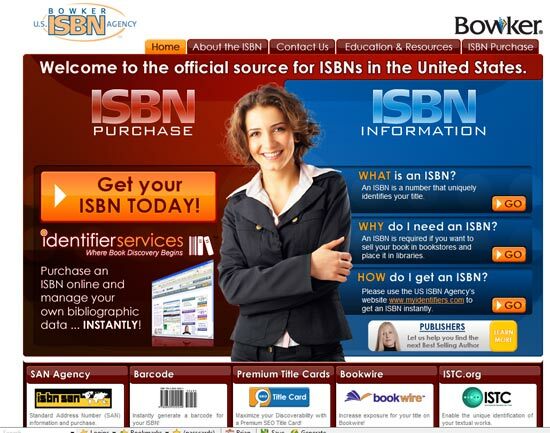 I found the USA site first – ISBN numbers are $125 each, with numerous up-sell options, including the nifty “see inside” widget used on Amazon which lets browsers read a few pages, available for $49.95. Once they reach their limit, they are cut off. A cookie is sent so that if you close your browser or come back tomorrow, you are tagged so you can’t cheat the system, short of deleting cookies which most people wouldn’t go to the trouble. That is a very handy gadget I must say. And here is the Canadian site below. In Canada, ISBN numbers are free, apparently in unlimited quantities, though it takes 10 working days to approve your application. Very handy if you want to publish 10 or 15 ebooks, (which I do) plus iphone, ipad, Kindle, KOBO, SONY reader etc. all of which require a unique ISBN. Which adds up pretty quick. Here is a screenshot of the Canadian site, after you get past the language selection. Of course the entire site is available in French as well. Quelle différence! Something about the dry presentation and simple Red and Black is very familiar to me as a Canadian. More bureaucratic than the American site, but what a great thing to encourage ‘culture’ by giving away ISBN numbers. For all the simple presentation though, the Library and Archives Canada site delivers the goods. The Collections site has some great stuff – Here is a poster from the BC page of the Transcontinental Tour by Train exhibit.